What people are saying about Sunraysia Home Loans- The Mildura Grapevine…. Ash and I just wanted to say a huge Thank You for helping us buy our first home. We are all settled in now and so very happy!!! Your help was greatly appreciated and out of all the people we had to deal with you were the only ones we felt actually wanted to help (even after hours). We have already and will continue telling everyone to come and see you when they need a loan!! 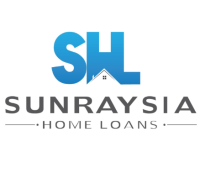 Everyone at Sunraysia Home Loans were fantastic to deal with. I cannot fault the services of Simon Lewis, Sunraysia Home Loans, Mildura. I will be looking forward to consulting with him in the future about a loan. Very happy!! Great service with our home loan. Simon and staff are all friendly and always happy to answer any of our questions. I can not rate Simon highly enough. He made the whole process of getting my home loan so easy. He's a delight to deal with and I will be recommending him to everyone. Thanks Simon, I can't thank you enough! Hi Simon, Mark and I as you know were really happy with your service, and have already recommended your business to some of our contacts, and will continue to do so. Again, thanks so much for doing all the leg work for us and making the ‘red tape’ disappear. Very happy with Simon - Not only did he set us up with an excellent Loan Package, but he also worked hard on our behalf with the Banks and Solicitors to ensure settlement went through without a hitch. Hi Simon, thanks again for all your help and for following everything up for us regarding land etc. Its been greatly appreciated and would certainly recommend your services to others in future. I truly appreciate all the time and effort given to me, you are truly wonderful at your job. Thank-you for speaking my language, and always making me feel that nothing is too much trouble. Great Service and great knowledge. Helped our family get into a new home and went the extra mile when settlement was on the line. Defiantly a breath of fresh air dealing with a professional team. Simon makes the life of a busy person easy. No question is too difficult to answer, or too silly to be asked. Simon puts you at ease and tunes in immediately. Thanks for your excellent customer service Simon. You are highly recommended. Thanks Simon for all your help with getting a home loan, I actually can say I don't think I would have gotten what I needed without your help! I will be recommending to everyone! If you would like someone that knows what he's doing then Simon is your man. And not only does he know, but he can explain it to you on your level so you understand. Simon is an absolute legend!! Such a hard worker for his clients & provides the best customer service! Always friendly & available to help! Do yourself a favour & contact Simon if you are looking to buy or re-finance!!! Simon was amazing to work with, super quick and highly knowledgeable regarding all aspects of building would recommend him highly. Simon is excellent to deal with. Highly recommend. Simon makes complicated matters sound simple. The use of plain language always puts you at ease. Many thanks.